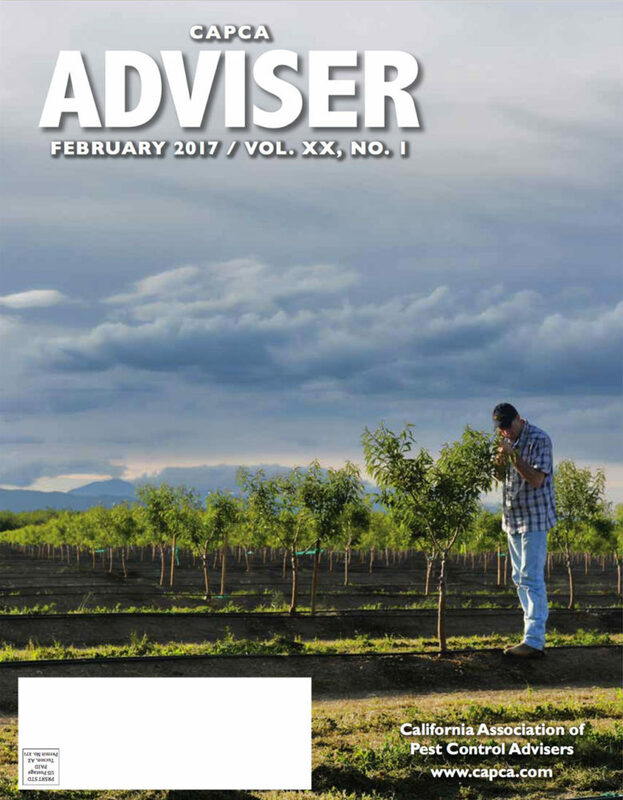 Over 70% of all Pest Control Advisers (PCAs) read the ADVISER magazine and account for most of the food, fiber and turf & ornamental recommendations in California. Our magazine focuses on timely information and resources important to the PCAs throughout the state. 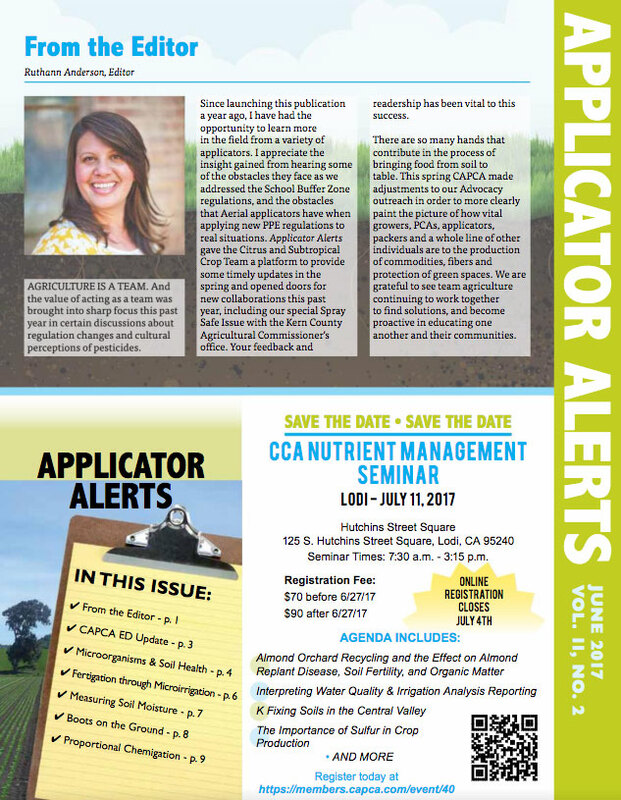 Newsletter - Currently, the Applicator Alerts newsletter is disseminated to over 9,000 Qualified Applicator License holders (QALs), farm advisors, agricultural commissioners, as well as all CAPCA’s sustaining members. The 12-page newsletter features technical briefs on issues relevant to today’s application methods. Advertisers are increasing their ad sizes and running ads more frequently because they are getting results. Ads in the CAPCA publications means increased exposure and sales. Readers of CAPCA publications get the news before it becomes history. Articles are never more than 30-days old. This contrasts with other publications that require 2-3 months’ lead-time. CAPCA publications have enlisted the assistance of experts in the industry to serve as contributors and thus add a diverse mix of interests and opinions to our readership. CAPCA publications coverage and depth grows with each and every issue. For Advertising Opportunities, please contact Sylvia Stark at (916) 607-0059 or sylvia@capca.com.